Since our last update, we've been hard at work on our contributions to two forthcoming split releases. The first will be with Graves at Sea, which will see vinyl and limited CD-release through Gilead Media, and the second will see us splitting vinyl sides with Hooded Menace. Updates will be coming soon on both of these releases. To keep up with our latest news, please follow on our Facebook page. 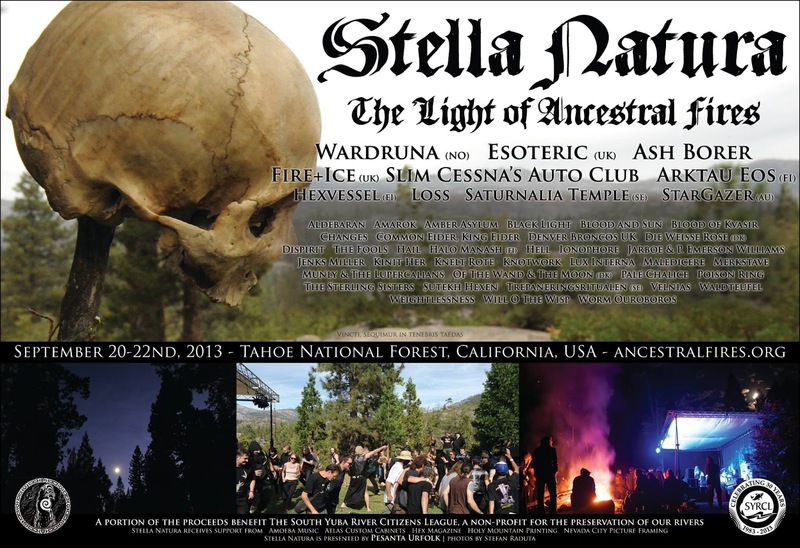 The first will take place at Stella Natura: The Light of Ancestral Fires II, in Tahoe National Forest, California, from September 20th - 22nd. We are honored to be performing with a very talented and diverse array of bands from the metal, folk, and psychedelic/esoteric/experimental music scenes, all while set deep in the woods. We're sure it will be an event like no other, so we are planning some exclusives for that weekend -- including new merchandise (details below). 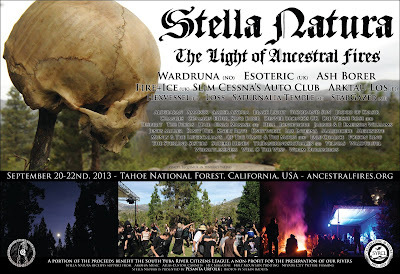 Tickets are very limited, but there are still some available here. 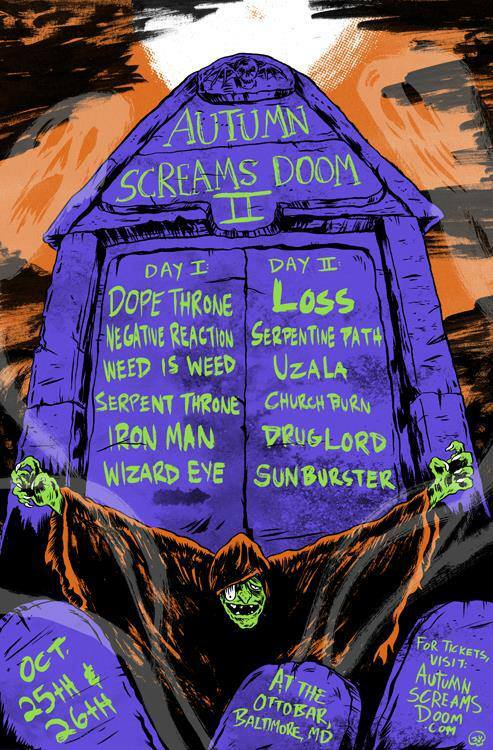 In October, just before Halloween, we will return to Baltimore to headline the second day of the Autumn Screams Doom II festival, to be held at Ottobar on October 25th and 26th, 2013. You can order tickets here. 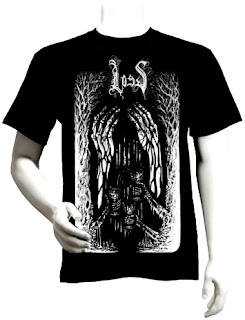 Our web store has been re-stocked. We currently have the new black-on-grey version of our "Life Without Hope..." shirt (as well as copies of that demo CD), and the woodcut/metallic print design of our "An Ill Body Seats My Sinking Sight" shirt. We also have two posters: Our extremely limited MDF art print for "Shallow Pulse," and the last remaining copies of our tour poster, featuring artwork by Lorraine Rath of Worm Ouroboros. Order all of these HERE. We have also unveiled a new design that we made exclusively for sale at Stella Natura this year, with artwork by Emiliya Tsankova. Here is a preview of that design, which features the piece "All Grows on Tears." Those merch so good. There is good design woth a lot of meaning drwan there. So good. Obat Herbal HIV AIDS is contain with full of herbs tahta can cure HIV AIDS without take any side effect. 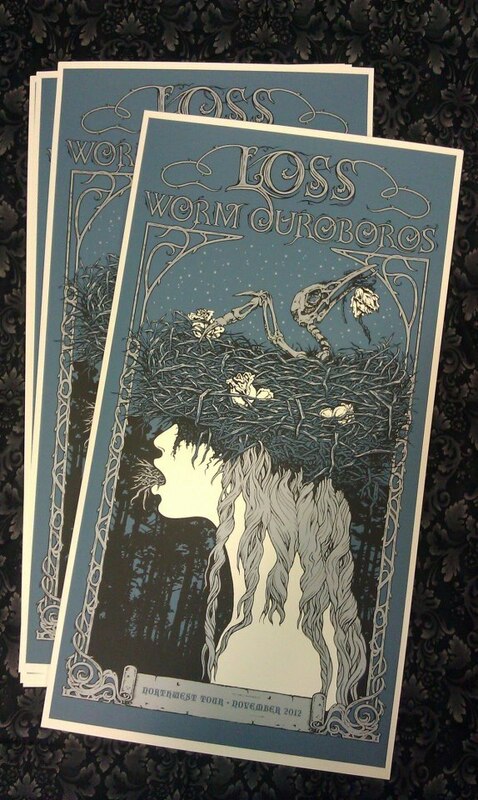 The official website of Profound Lore Recording artists, Loss, based in Nashville, TN.